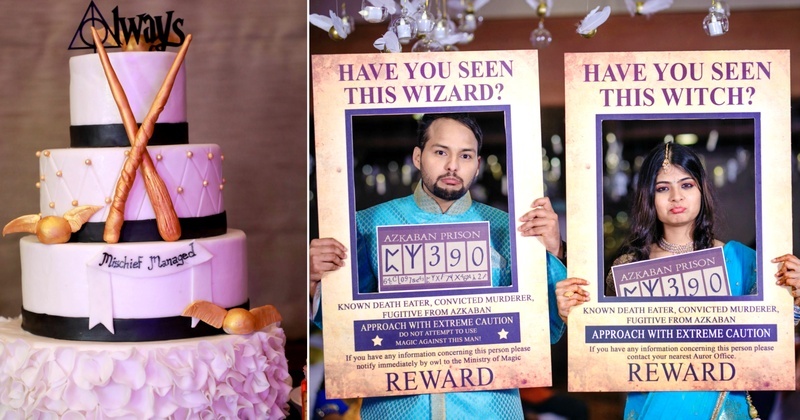 This groom surprised his fiance with a Harry Potter themed sangeet and its too cute to handle! For Roshana, getting married to someone who is not a potterhead was next to impossible. But as they say love is blind, and she did fall in love with Arun who didn’t know the ‘H’ of Harry Potter! The ‘Roshna weds Arun’ sign-board was tastefully swapped with this board, having references that only a Potterhead would understand. 4. This is how we imagine Roshna initiated her Muggle-born husband into the magical world of Hogwarts. 9. There was a waltzing session too – much like Harry, Ron and Hermione had with their dates at the Yule Ball! 20. They really went ALL the way!